This toy sparks children’s imagination. Children from toddlers to preteens love it – they take it apart, rebuild it, stack the pieces on top of each other, include it in imaginative landscapes, and much more, building hand-eye coordination as well as engaging in spiritually imaginative pl..
A beautiful mosaic-style puzzle, with rich colours and lovely details. This makes a lovely Christmas gift or an addition to a Christmas play corner. The pieces can also be taken out of the frame and used to make creative designs. 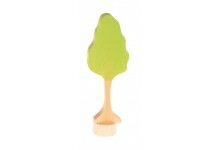 Made of birch or poplar wood and non-toxic stain. ..
Use these trees to help create Biblical landscapes for storytelling or play. A great addition to the City Building Blocks Set, the Landscape Building Set, and more. Made of lime wood and handpainted in non-toxic stain. Size: 8 cm ..
“Now bless this water, we pray you ...” There are so many Bible stories with water in them, from Noah to the Baptism of Jesus! 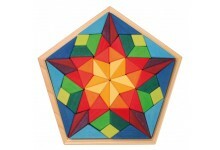 This toy can be used for storytelling or for play, and helps build hand-eye coordination. It also makes a wonderful Christening gift. 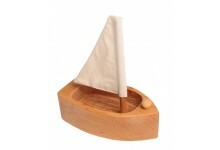 Made out of lime wood..
Floatable boats available in three colours – great for water tables, storytelling, baptism gifts, or children's areas. They can be used for telling the stories of Noah, Jonah, the calling of the Disciples, the journeys of Paul, Barnabas, and Silas, and much more! 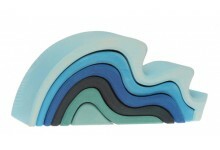 (Note: air dry these boats ..
Large 12-piece Grimms Rainbow - SOLD OUT. 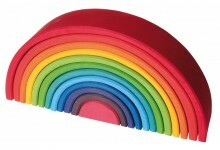 This beautiful 12-piece rainbow from Grimms will provide hours of creative and imaginative play for years to come. 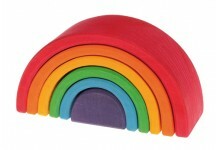 Made of solid wood and finished with non-toxic stains, the stunning colours and touchable texture will make this one of your most popular toys. Dimensions: 18 cm high, 38 cm wide, 6 ..